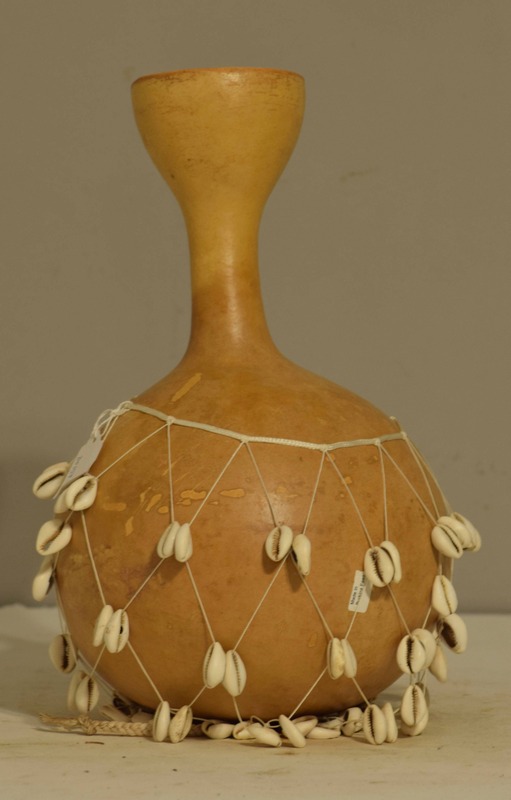 This is a fun African Percussion Gourd Shekere, Shaker or Rattle with String and Cowrie Shells from Burkina Faso. 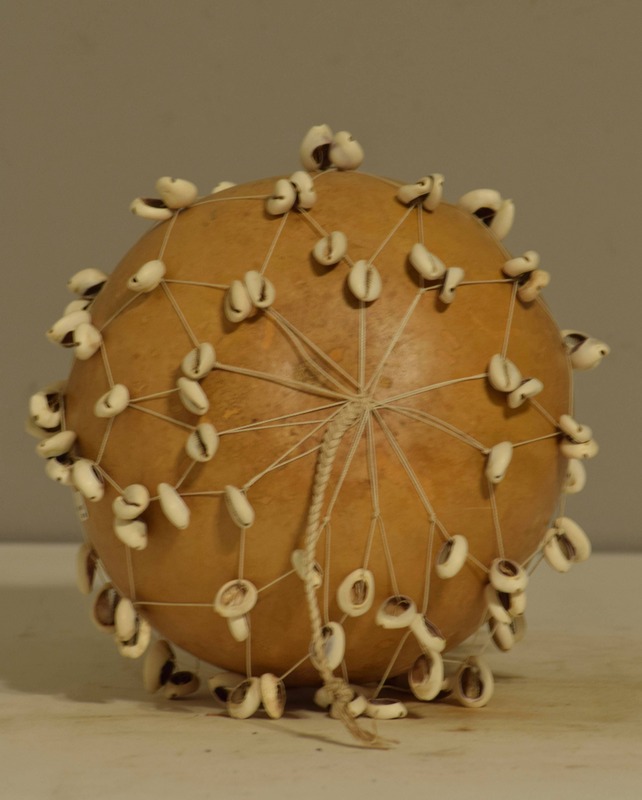 The shekere is a West African percussion instrument consisting of a dried gourd with cowrie shells or beads woven into a net covering the gourd. The instrument is common in West African and Latin American folkloric traditions as well as some of the popular music styles. In performance it is shaken and/or hit against the hands. The shaker is made from vine gourds that grow on the ground. 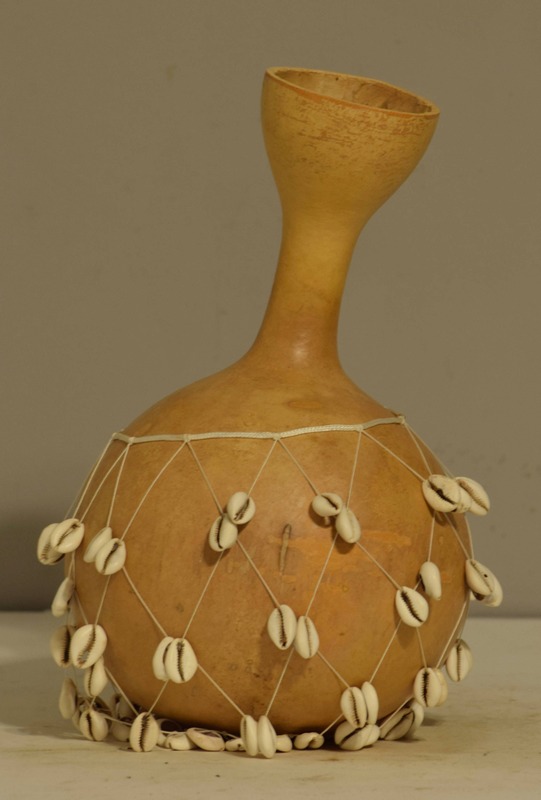 The shape of the gourd determines the sound of the instrument. A shaker is made by drying the gourd for several months then removing the pulp and seeds. After it is scrubbed, skillful bead work is added as well as color. 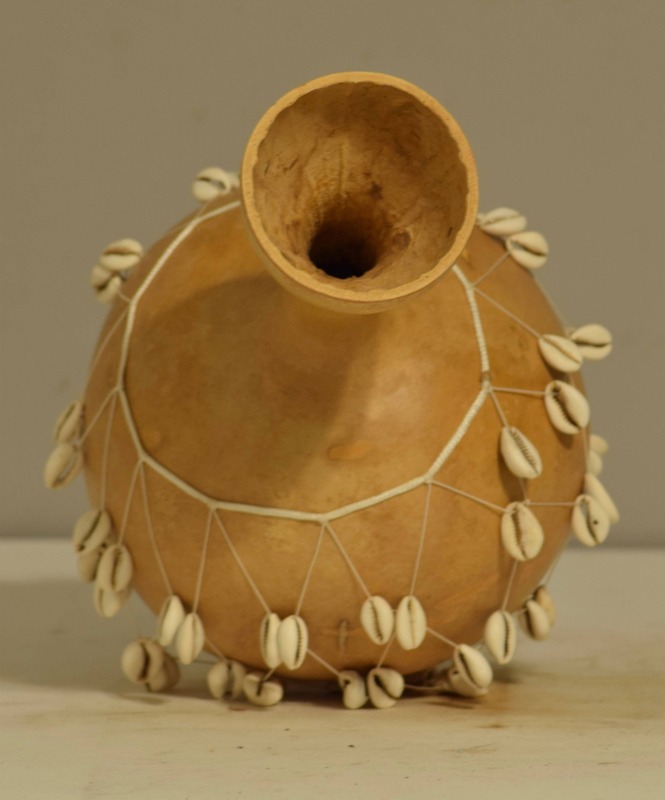 Shakers and rattles play a big role in traditional African religions. They may call spirits in sacred ceremonies or emphasize the words and actions of important people. This would be a wonderful addition to your collection or home. Shows age and some discoloration, but in good condition. SHAKERS COME IN VARIOUS SHAPES AND SIZES AND EACH MAKE A DIFFERENT SOUND.